The German parliament’s head of the inquiry into NSA spying on the country asked security experts to check his phone after he believed it had been hacked. The only problem was it was tampered with when he sent it by post to be examined. Patrick Sensburg, a Christian Democratic Union MP in the Bundestag, complained his Blackberry, which had been encrypted was not working properly last month, the German newspaper Die Welt reported. Believing that it may have been hacked, parliamentary officials sent it to be tested at the Federal Office of IT Security (BSI) in Bonn. The authorities did take precautions, sending the device in a lead container, to ensure that any wireless signals could not reach the phone. However, despite going to all this trouble, they sent it by ordinary DHL post. On its way to the BSI, it was opened. The organization is now trying to figure out what information may have been taken from the phone, given that Sensburg was privy to some top-secret material. Due to his position as the head of the inquiry into the NSA, he had access to classified files as he and the working group tried to find how much damage the US intelligence agency had done. Edward Snowden, who said that German Chancellor Angela Merkel’s phone had been tapped, made the revelations. However, at the time of the scandal in May 2014, Sensburg was dismissive of the American’s knowledge of German intelligence and believed he could lose all credibility with the committee. The German government took the allegations seriously and put in an order for around 3,000 encrypted smartphones. 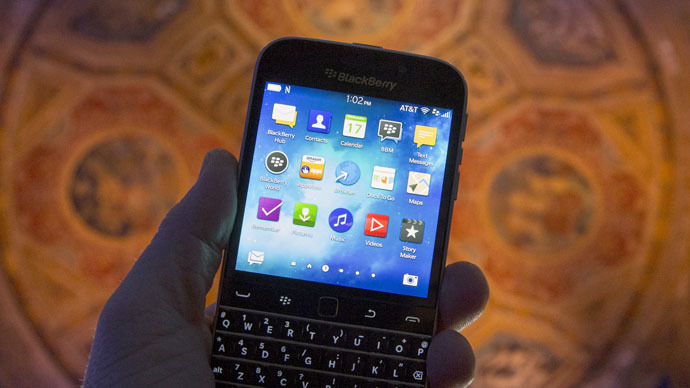 The €2,000 devices were mainly produced by Blackberry and were encrypted by the German software company Secusmart. However, users were warned that only documents at the lowest security clearance level “classified” should be used on the phone, due to potential security breaches, for any higher level of secret documents. Die Welt also reported that users of the phones said the sound quality was poor as was the device’s battery life. In July, Sensburg said committee members were considering new security measures and are seriously thinking about abandoning email and returning to old school typewriters. “As a matter of fact, we already have [a typewriter], and it’s even a non-electronic typewriter,” he told the ARD Morning Show.